An essential guide for anyone interested in modeling late-war German aircraft, or who wants to build better aircraft models. 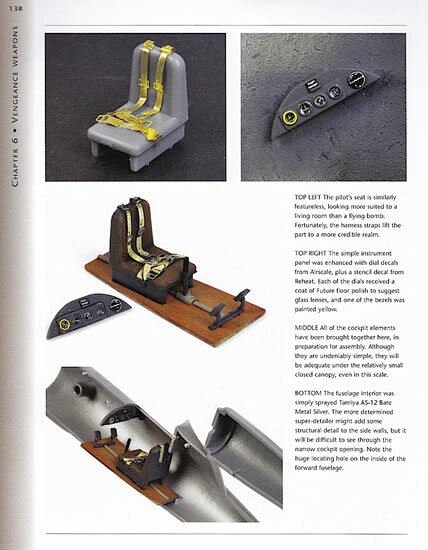 I discovered the Osprey Masterclass series shortly after getting back into modeling in 2004, when I bought Geoff Coughlin’s “World War 2 Luftwaffe Fighter Modelling” from my local hobby shop. The book was exactly what I needed at the time: a well-balanced combination of ‘how-to’ text and photographs, and an inspirational gallery of completed models. I also liked the book’s robust hard cover format, which made it easy to prop up on the workbench. Nearly ten years on, I continue to enjoy the series. 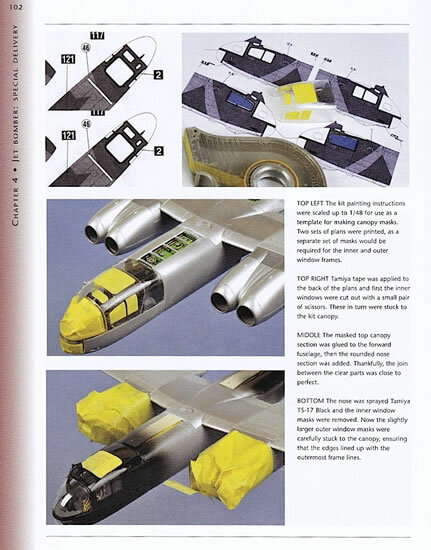 Brett Green’s “Airbrushing and Finishing Scale Models” and “Aircraft Modelling” are particular favorites, and frequently consulted. Osprey’s switch to spiral binding makes these more recent books even easier to use, and the quality of both text and photographs is excellent. These high standards are maintained in Brett’s latest contribution to the series, “Modelling Luftwaffe Jets and Wonder Weapons”. 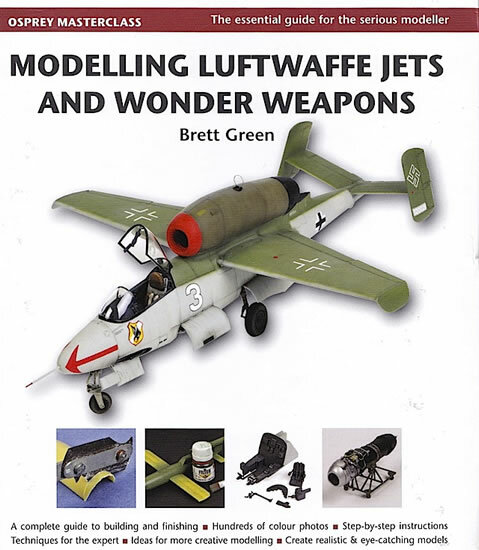 Nazi Germany’s groundbreaking aircraft and missiles have long fascinated modelers, and this book’s combination of succinct historical information, selected period and walkaround photographs and Brett’s typically excellent model builds will do nothing to diminish this interest. Brett has tackled his subject more or less chronologically, and the book is broken down into the following sections. Brett builds Eduard’s 1/48 Heinkel He 280 and shows how to get the best out of this older but still very good kit. 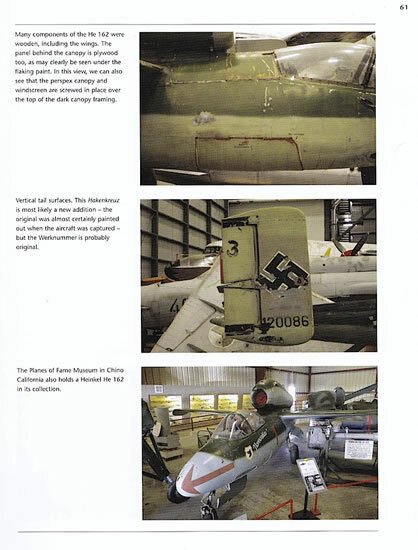 Benjamin Evans describes the Messerschmitt Me 262 powerplant and compares it with other German jet and rocket engines. Brett Green and Chris Wauchop build and detail the Trumpeter 1/32 Messerschmitt Me 262 A-1a kit. Jeroen Veen completes Tamiya’s 1/48 Me 262 A-1a as an Me 262 A-1/U3 using CMK’s resin conversion. Brett Green provides a history and walkaround of the Heinkel He 162 before building Revell’s 1/32 He 162 A-2 kit. 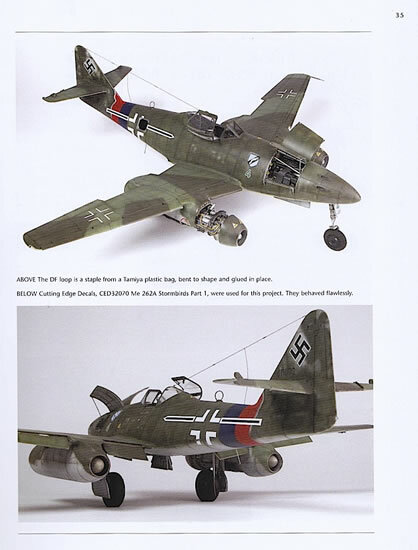 The chapter concludes with a gallery of other 1/48 and 1/32 He 162 models. Brett describes the Arado Ar 234 series, and builds the Hasegawa Ar 234 B-2 and Ar 234 C kits. 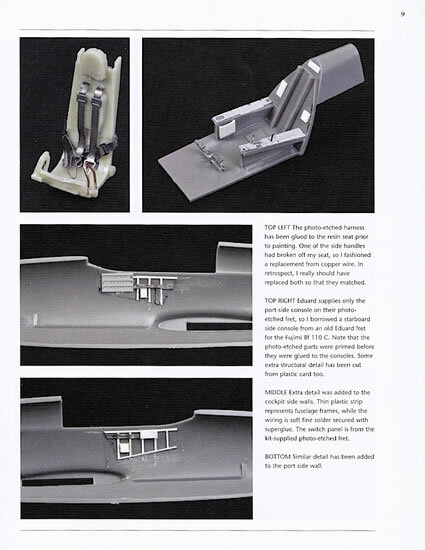 Brett discusses the Messerschmitt Me 163 with the assistance of some contemporary walkaround photos, before giving Hasegawa’s old 1/32 Me 163 B kit the full upgrade treatment. The chapter concludes with a short photographic discussion of the Bachem Ba 349 Natter. Brett builds Bronco’s 1/35 Fieseler Fi 103 RE-4 piloted flying bomb. Simon Herbert scratch-builds a 1/35 ‘Vidalwagen’ trailer to carry Dragon’s 1/35 V2/A4 rocket, before building Italeri’s 1/35 SWS 5-ton half-track to pull it. This section is completed with a brief gallery of other ‘vengeance weapon’ models. 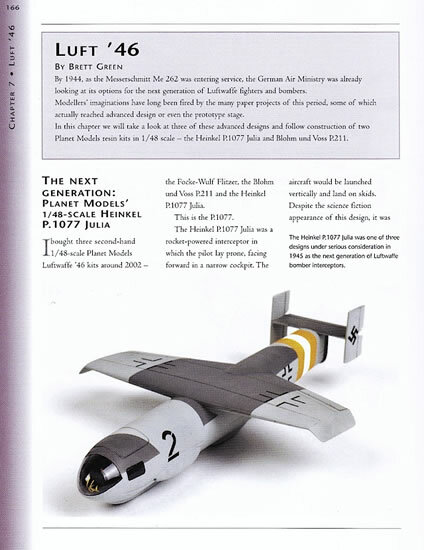 Brett enters the realm of ‘paper projects’ with builds of Planet Models’ 1/48 Heinkel P.1077 Julia and Blohm und Voss P.211 – both resin kits – and the AMtech/Tamiya Focke-Wulf Ta 183 B kit. 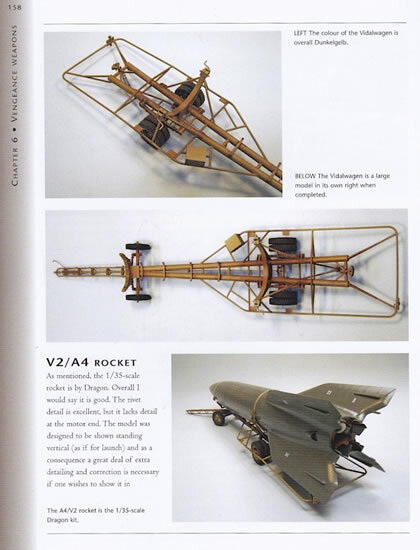 The book concludes with a list of references selected by the late Dr Charles Metz, a list of available kits of Luftwaffe jets and rocket aircraft, and a detailed index – a useful feature that is often overlooked in guides like this. Production values are high throughout. The text is engaging and well written, and I encountered no typographic or other errors. The photographs of models – both under construction and completed – are very clearly reproduced. Paper quality and binding are excellent, and the sturdy cover means that the book will be able to take some knocking around without falling to bits. This is another great addition to Osprey’s Masterclass series. A sign of a good modeling guide, for me at least, is when I am inspired to look again at kits that I haven’t considered building in a long time; this one has had me scrabbling around at the back of my stash looking for boxes that I’m not even sure I still have. I can highly recommend this book to anyone with even a slight interest in modeling late-war German aircraft, or who is looking for a good modeling ‘how-to’ book – because the techniques described within are universally applicable. Now, where’s my Eduard He 280 kit?